· in a mission-driven approach to advancement. · that there is no substitute for strong institutional leadership. 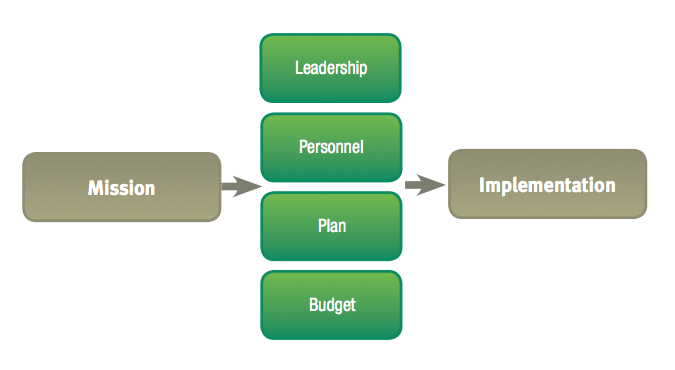 · in a staff-driven approach to implementation. We participate with our clients in solicitation calls and do not require volunteers to make solicitation calls. · that a Catholic high school achieves growth by creating and working toward a shared vision. · in making courageous decisions for the future based on an honest, candid assessment of the present. · in the fundamental concept of constituency involvement; we have witnessed the powerful effects of stakeholder engagement. · in being realistic about fundraising expectations so that capital projects are accomplished and the campaign is successful. · that implementation - the disciplined execution of fundamentals - is how a school reaches its philanthropic potential. · in delivering value to our clients. Accordingly, our fees are highly competitive and include all our travel-related expenses and all required project-related items so that every client knows up front the "all in" cost of the project.